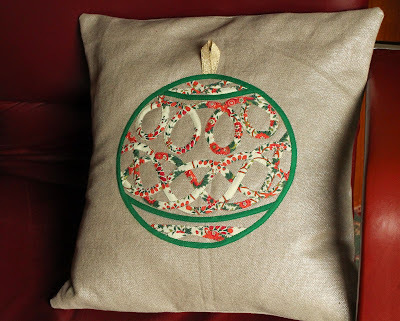 my Celtic Christmas Bauble cushion! There are so many wonderful projects in this issue it is hard to pick a favourite, but isn't that Christmas sweater themed quilt on the front cover just wonderful? Oooh get you Mrs Published. Congrats! I love the cushion! 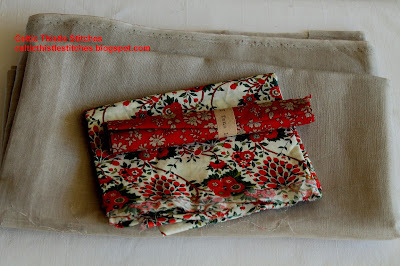 I saw this in the mag, it looks lovely, not sure my applique is up to that! Congratulations on being published! Don't forget us when you're rich and famous, will you? It's a fab cushion, so cleverly done. WOW that's a gorgeous pillow - my applique definitely isn't up to that - yours is impeccable! Very festive :) . I like to decorate with pillows. And we are so lucky that you are back too! Beautiful cushion, Fiona! That celtic bias style is on my to try list too. May just have to pick up that Fat Quarterly issue. Thanks for the tip! Congrats! Congratulations on being published. Beautiful appliqué too. Yay for another publication!! What a beautiful cushion and I love the design and colors! Congrats on being published, Fiona!!! Your applique and cushion are truly beautiful. Congratulations! 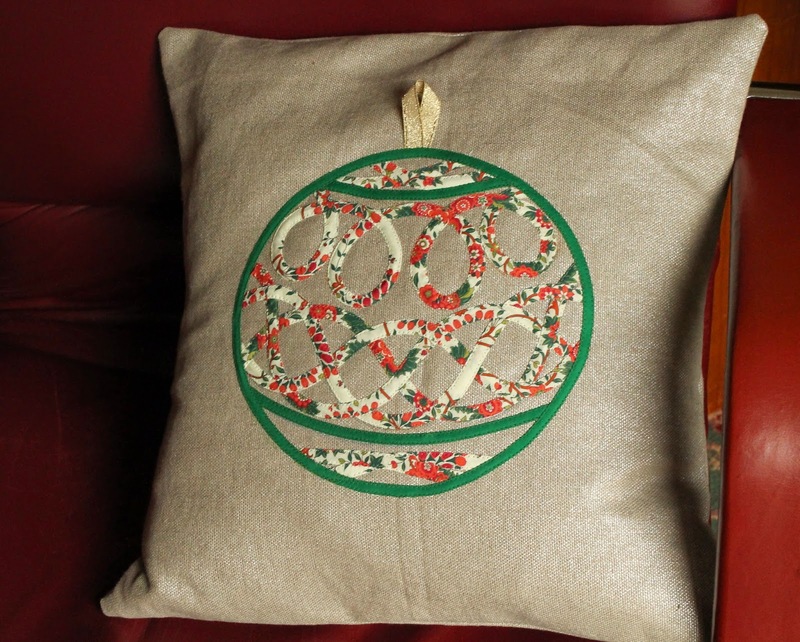 This is a fantastic pattern and the cushion is beautiful. Shame to use it just for Christmas! Very nice indeed - congratulations!!! What a great cushion design, well done on your success of being published.